Josh Atkinson prepares for a scene in "Return to the Hiding Place" which was filmed in Zeeland. Photo by Brian Forde. 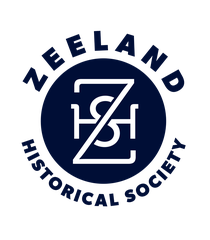 When Nazi soldiers and Dutch resistance fighters filled the Baert Baron Mansion in Zeeland last week, it seemed like a scene right out of a movie. And it was. Victor and Anna VanDeventer’s home at 120 S. Church St. was used as the backdrop for scenes being shot for the independent film “Return to the Hiding Place.” The movie, directed by Peter Spencer, is based on the story of Hans Poley, who was one of the first people to be hid by Corrie ten Boom in the Netherlands during the German occupation of the country that began in 1940. In the film, resistance fighter Piet Hartog is a witness to atrocities toward the Jews and, along with his love Aty and her Aunt Corrie, help rescue and hide Jews from the Nazis. Film shooting also has taken place at the Felt Mansion, Centennial Park, Hope College, and Windmill Island and is set to take place in Manistee this week. The crew also plans to film in the Netherlands. The film is expected to be released early next year. Along with directing the film, Spencer serves as its producer along with his daughter, Petra Spencer Pearce.